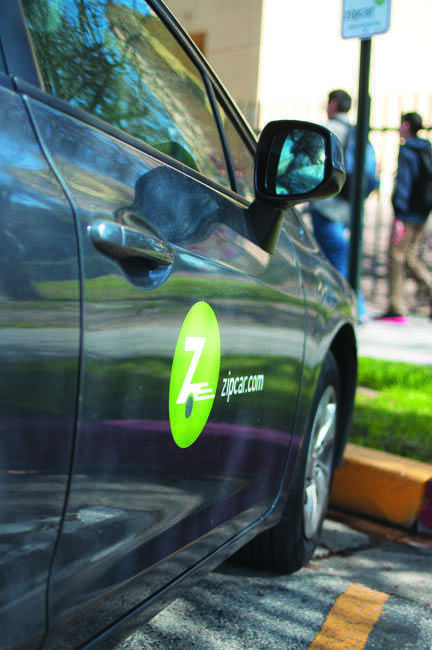 Zipcar, CSUN’s newest car-rental service, has been avalible to students since the beginning of spring semester. Students can rent cars on the service’s website and pick one up in parking lot F10 for a fee. Kenneth Premo, manager of support services at the Associated Students office on campus, said Zipcar has been a long time coming. “Our campus student housing doesn’t have any r0eally good way to get students to a grocery store… and the bus systems don’t go directly where people would like,” said Premo. The service offers members the chance to rent a car with an all-included fee, which covers gas, mileage and insurance, at a starting rate of $7.50 per hour. “We are excited to bring car sharing to universities in such an affordable way,” said Jennifer Mathews, public relations specialist for Zipcar, in an email interview. Natalia Iorlano, 21, used Zipcar before the service was installed on campus. Iorlano, who lives in the dorms, relates to the struggles that students usually go through when they don’t own a car. 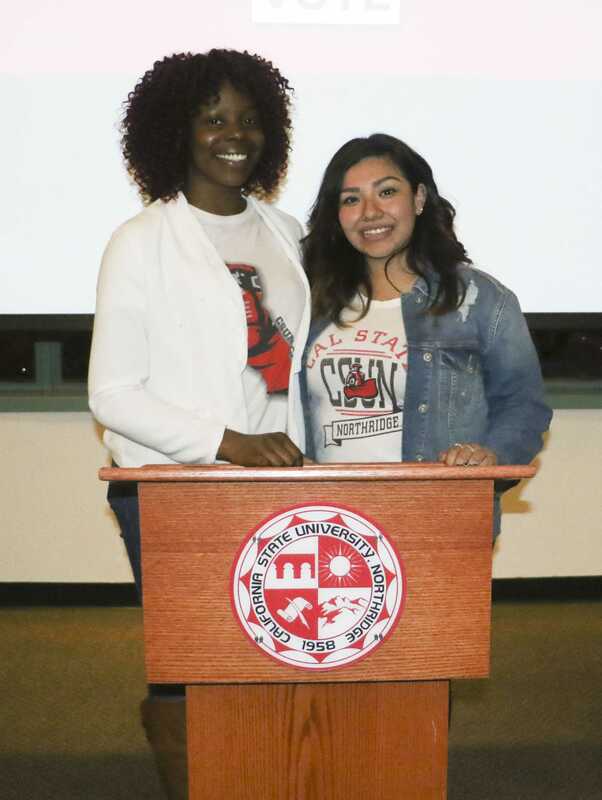 Tiffany Zaich, 22, food science and technology major, said CSUN President Dianne Harrison has backed the service on campus. “She’s all about sustainability and going green on campus, and the Zipcar is all about that,” Zaich said. Unlike other car-rental businesses, in which customers rent a car on location, all Zipcar transactions are done completely online. To use Zipcar’s services, students have to go through an application process of age verification and a background check of driving records from the Department of Motor Vehicles. “I wouldn’t put anything out there that I haven’t done myself, (so) of course I had to go and sign up,” said Premo, who initially signed up for the membership process in order to test the effectiveness of the service. Once the driver is approved and enters their personal financial information into the Zipcar website, a “Zipcard” is mailed to the member. The card allows the renting of any car at any given location, depending on the age of the driver. Mathews said all members that are above the age of 21 are allowed to use the Zipcar service and are not limited to only using it on a college campus. However, members under 21 can only rent the vehicles on campus. Zipcar also offers an iPhone and Android application allowing members to easily find Zipcar locations and rent vehicles. To rent a car from other rental companies, consumers must be 25 years of age. However, Zipcar permits college students 18-and-over to rent their vehicles. Two cars are provided by Zipcar on campus and have their own assigned parking spots, which allows students to not worry about taking extra time to find parking, Zaich said. The cars are located in parking lot F10 on the corner of Lassen St. and Lindley Ave., directly in front of student housing. They were placed there because student housing was the principle idea. However, the service is available to the surrounding community, as well. Zipcar, recently acquired by Avis Budget, has been in service since 2004. Zipcar first offered its services to companies, and then began expanding to university campuses. Mathews said their general company policy does not allow them to break down members by market or school. However, she said the service now has a global network of over 850,000 members in the United States, Canada, the United Kingdom, Spain and Austria. 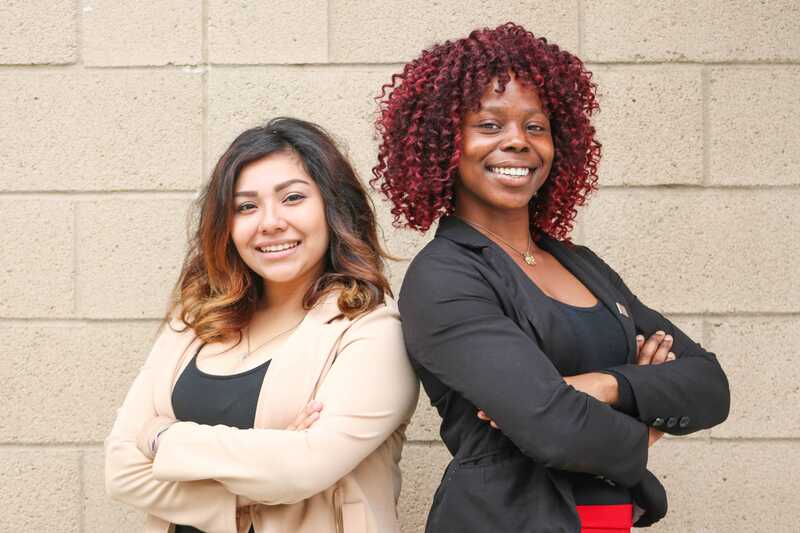 Three years ago, Premo began to investigate the idea of offering CSUN students, faculty and staff a more convenient method of getting around. It wasn’t until last year that it developed into a reality. “Zipcar was something of interest because it’s so congested on campus and there are a lot of students that don’t have transportation access,“ Zaich said. Zaich, also president of environmental affairs for AS, recognized the need for affordable transportation on campus. Zaich, with the ongoing support from Premo and the sustainability committee, supported the idea from the start, but bumped heads with a few regulations prior to obtaining approval. Iorlano said she helped AS’ decision to bring the service to campus by assisting the environmental committee throughout the approval process. Although CSUN is considered a commuter school, many students have shared their means of transportation. Zipcar is just another way of getting around, even for those that commute, Premo said. 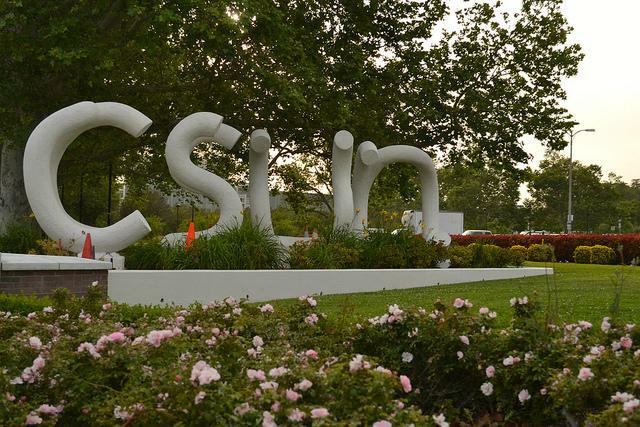 Unlike other universities, CSUN does not prohibit incoming freshman living in student housing to park their vehicles on campus. Pomona College, located in Claremont, Calif., and a Zipcar service provider since 2010, has a strict freshmen vehicle policy. It was because of this that the service was implmented. “It gives students another transportation option,” said Ginny Routhe, assistant director of facilities and campus services in the sustainability department at Pomona College. The college has three different Zipcar locations with more than 14 vehicles all over campus. “Ninety-eight percent of our students live on campus and our freshmen are not allowed to have a car,” Routhe said. Zipcar members over 21-years-old are covered for $300,000 worth of damage per accident. All members under the age of 18 are covered with the minimum coverage required by state or region that the Zipcar is located. If the total amount of the injuries and/or property damage exceeds the coverage limits of the company, Zipcar members are responsible for the excess amount, according to Zipcar’s website. Mathews said that all state guidelines are followed when addressing 18 and 21-year-old drivers. 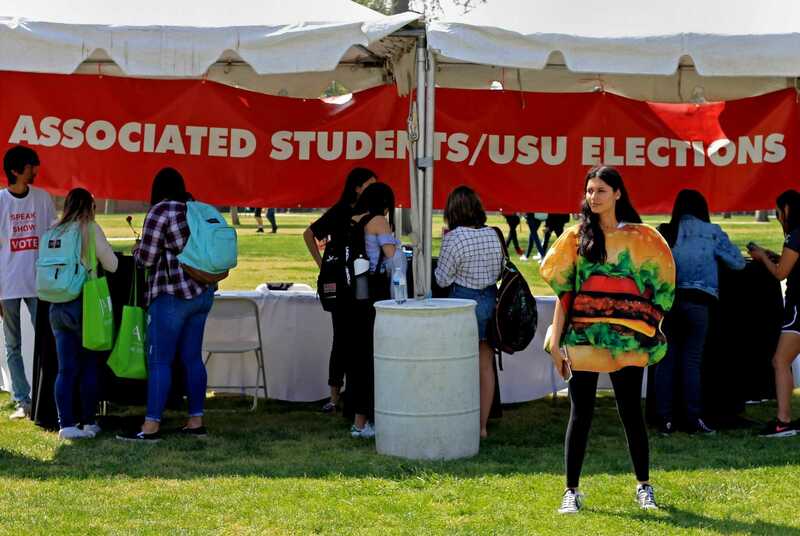 When the idea was first proposed, Zaich said that the CSUN administration was not too convinced because of the usage guarantee policy implemented by Zipcar, which consisted of an initial upfront fee paid by the university. Zaich said because the negotiation with Zipcar began more than three years ago, CSUN was one of the first universities to request the program, which permitted a no-cost service for the campus. “Our goal is to get more Zipcars on campus,” Zaich said. For the time being, an agreement between CSUN and Zipcar is allowing all costs to be paid by Zipcar, not the university. Premo said that, according to the contract, the goal is to have at least a 70 percent usage in order to get more vehicles on campus. Early negotiations with Parking Services arose from concerns about the payment of the Zipcar parking spaces, but the department eventually agreed to support the idea. To raise awareness about the services, Associated Students will host a launch party for Zipcar near student housing on Thursday, February 20.